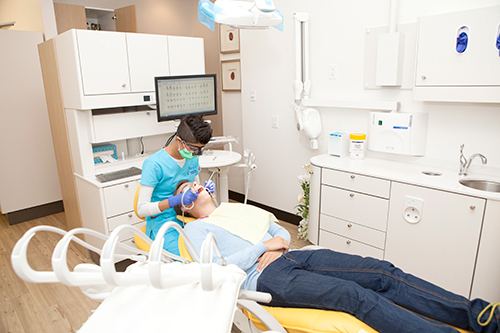 Dentistry varies widely, and encompasses a variety of techniques and services. Your treatment plan will be not only customized to you, but carried out with the best practices to ensure your health. Whether this requires referrals or consultations with other health professionals, or tailored services with our lab partners, you will be given all options for your optimal health. This may include referrals to orthodontists, fabrications of nightguard, or periodontal surgery. Come see us for a full examination to see what we can do for you!